The Alger Underwater Preserve is located on the south shore of Lake Superior near the city of Munising in the Upper Peninsula of Michigan. 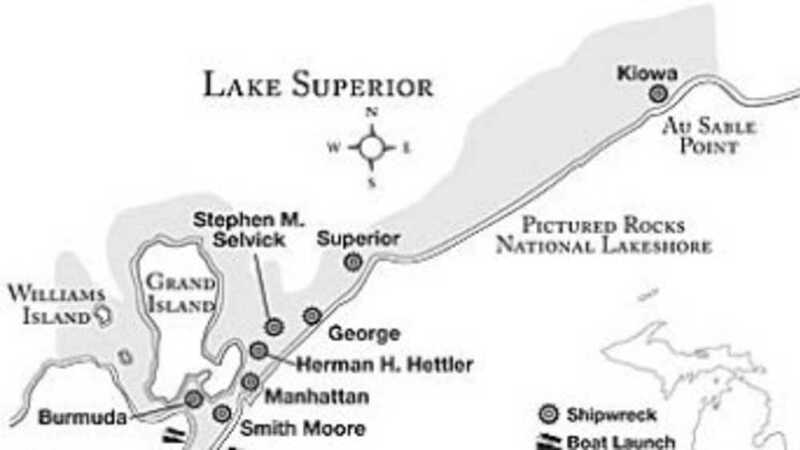 This area of Lake Superior’s shoreline includes the Pictured Rocks National Lakeshore, Grand Island and the sheltered waters of Munising Bay. The Alger Underwater Preserve offers several unusual diving attractions including “sea caves”, intact shipwrecks, and underwater interpretive trails.